Hang your TV like a piece of art. Hang your TV like a piece of fine artwork with this super-sleek, ultra-low profile wall mount. Holds your TV a mere 0.9” from the wall! TVs today are slimmer than ever, and you need a wall mount that can show your beautifully sleek new TV to its full potential. 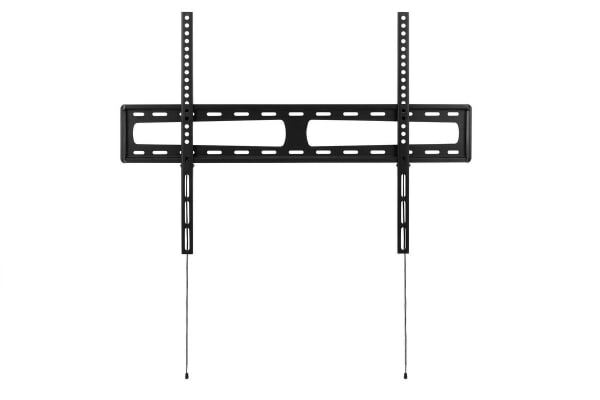 The Kogan Ultra Low Profile Fixed Wall Mount for 47”-90” TVs hangs your TV a tiny 10mm from the wall, creating a stunning barely-there finish and fantastic viewing from all angles of your room. 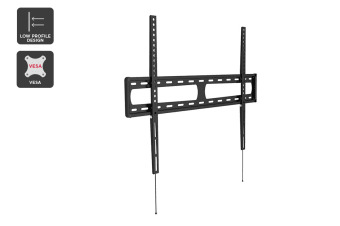 Compatible with a huge range of manufacturers and models, the Kogan Ultra Low Profile Fixed Wall Mount for 47”-90” TVs is made from high quality cold rolled steel and can safely support up to 35kg with no problem at all. This wall mount sits almost flush to the wall. Choose the perfect height for your TV to get the perfect view from your lounge.